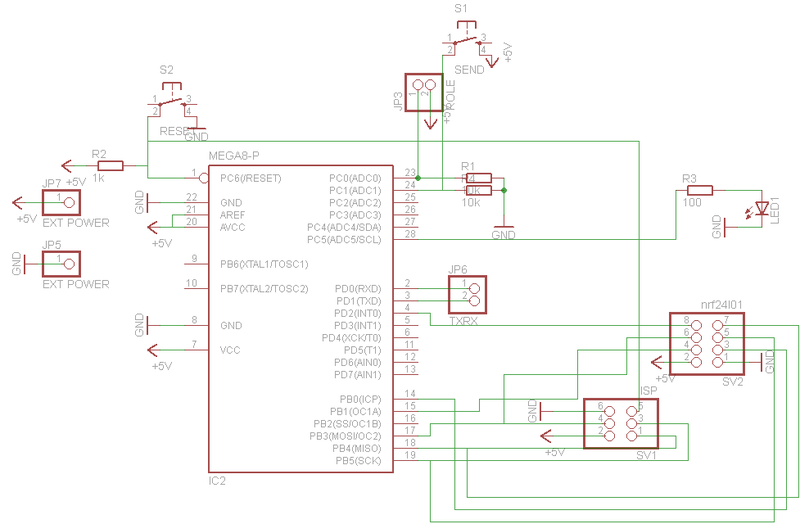 This is my Nordic Semiconductor nRF24L01 driver for atmega8 micro, it should work even with other atmel micro with small changes. 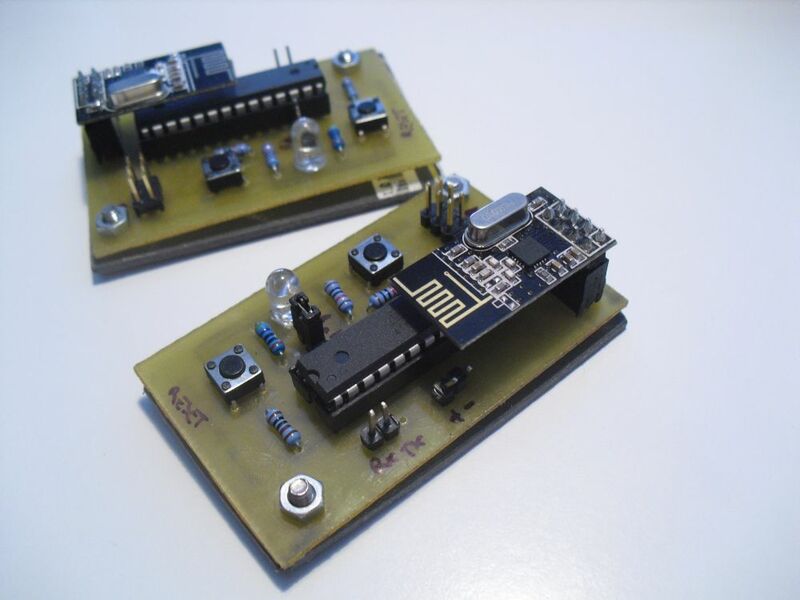 Most of the works is based upon nRF24L01 avr lib by Stefan Engelke http://www.tinkerer.eu/AVRLib/nRF24L01. 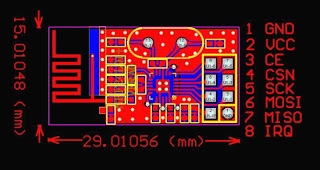 Attached you can also find a developement board for atmega8 and cheap nrf24l01 pcb found on ebay. You use AVR Eclipse for this project? I don't know how to compile this project, can you help me? you should use avr-gcc to compile this library. you can make a new eclipse avr-gcc project, set it up, copy all the files and compile the project. i think it should also work under avr studio. 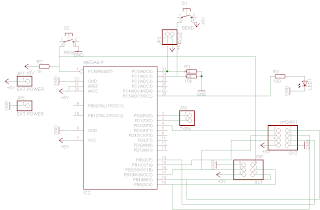 is no need Voltage regulator 5V to 3.3V ? nrf24l01 boards i've used are 5v tolerant, anyway new version of this project here: http://davidegironi.blogspot.it/2012/09/avr-nrf24l01-library-running-on-atmega.html has three diode to reduce voltage. Davide, I have a question about the library. It seems memcpy copies the address to itself (lines with "cashe address"). Why? Hello, I suppose you are talking about the version 02. Which line? 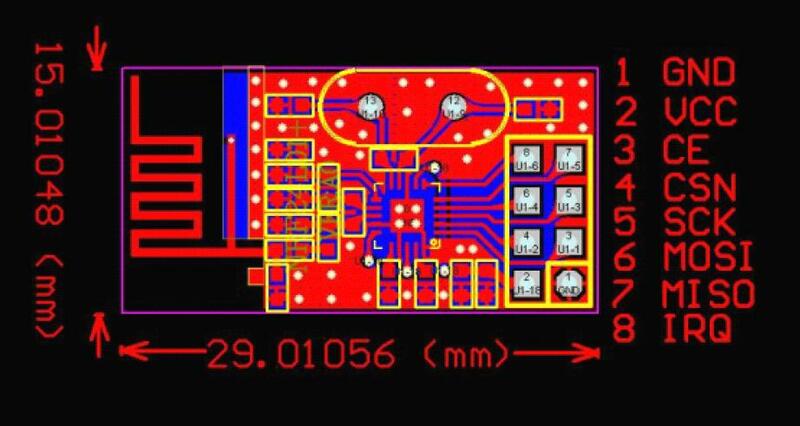 NRF24L01 have the library of Eclipse ?, you could send me this email please adrhip95@gmail.com thanks.